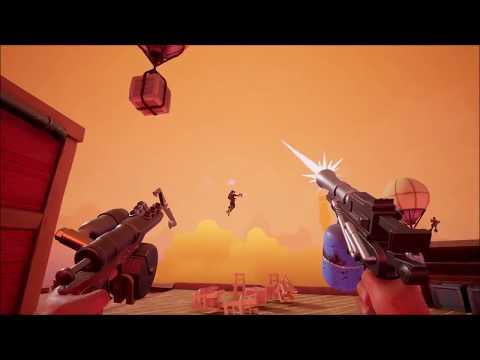 Sky Noon is a First-Person Shooter with Brawler mechanics. Players are equipped with a grappling hook, a lasso and an arsenal of weapons and abilities. Sky Noon’s mechanics change the way players approach traditional FPS gameplay, emphasising speed and positioning in combat. There is no health in Sky Noon - players eliminate their enemies by pushing and pulling them off the Floating Frontier. Sky Noon was released on PC (Early Access) 309d ago in the US and the UK. Notify me when Sky Noon is available.